Our seven comfy cottages offer the perfect hideaway in beautiful Western Scotland. 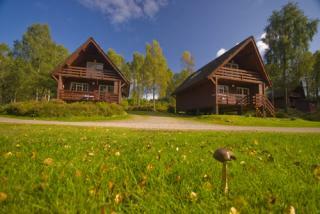 Nestled in 3.5 acres, the chalets look up towards the spectacular Ben Cruachan and over Glen Etive. We have our own bluebell wood and are often visited by a myriad of wildlife. Auchrannie has grown from a 16 bedroom guest house in 1988 to a resort now comprising two 4 star hotels with 64 rooms, thirty 5 star self-catering luxury lodges, three iconic restaurants, a shop, two leisure clubs with pools and a childrens 'Playbarn' . 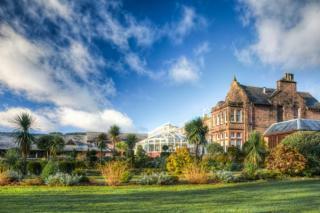 Auchrannie is still developing and recently approved plans including 40 more bedrooms and a destination spa. Just 15 minutes drive from Loch Ness, the self catering Lodges are a convenient touring base from which to visit many parts of the Highlands. Within easy reach are the Isle of Skye, John O'Groats, Speyside and of course the Black Isle. There are shops, hotels and restaurants only short distances away in nearby villages. Our Chalets are centrally heated and double-glazed with fully fitted kitchen including dishwasher (Nevis & Locheil only), fridge-freezer and microwave. 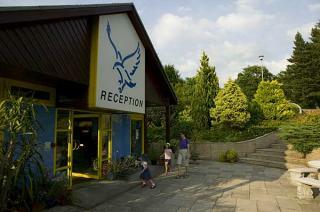 Linen and towels are provided and all beds have hypoallergenic duvets and pillows. King-size bed in master bedroom. Video below shows the Nevis master bedroom but the Locheil is almost identical. Ironing and hairdrying equipment is supplied. Overlooking the loch, the lounge has a 21" remote control flat screen TV/DVD, luxurious leather sofas and patio doors onto a balcony overlooking beautiful gardens or loch. The lodges can be booked separately as a one bedroom or two bedroom or linked together with double interconnecting doors which opens to allow one three bedroom lodge accommodating six in comfort. Bed linen and towels are provided. 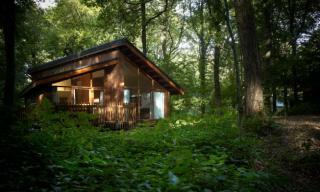 See below to see more details and pictures of our luxury lodges. Our Cabins are set exclusively within Forestry Commission estates in beautiful woodland and lochside locations, each with its own unique character offering the perfect setting for a relaxed holiday. 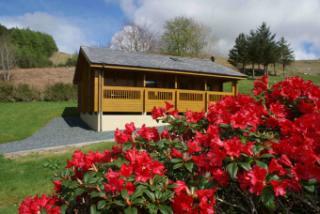 We have Cabin sites in Cornwall, Gloucestershire, North Yorkshire and Scotland. NEW - We are also introducing Forest Retreats at Deerpark and Strathyre as well as upgrading all of our standard Evergreen Cabins to luxurious Silver Birch and Golden Oak Cabins. We offer relaxing midweek and weekend breaks away and week long holidays, so whatever length break you are looking for, we are sure that we have the perfect Forest Holiday for you. 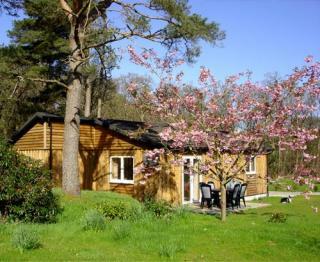 Superb 4 star cottages and 3 star woodland lodges on an environmentally managed working farm. 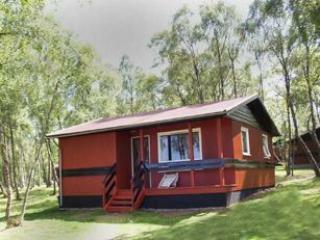 Properties are regularly updated and prices are inclusive of heating, electricity, hot water and facilities. Pets are very welcome and families will love the heated indoor swimming pool. To explore further afield, you can hire bikes, maps and wildlife kits. Set amidst the splendour of Glen Affric often described as the most beautiful Glen in Scotland and home to the few remnants of ancient Caledonian Pine,Guisachan forms the perfect backdrop for exploring this hidden gem of the highlands on foot,by car or by bike. Relax your pace along the many lanes, forested tracks and pathways on your doorstep to contemplate the breathtaking scenery and to spot some of the local flora and fauna rare orchids,dragonflies,deer,badgers,osprey,black grouse,golden eagle,red squirrels,otters,pine martens & barn owls. Our two log cabins and cottage set in twelve acres with stunning mountain scenery are a haven for wildlife and wildflowers.Surrounded by woodland and lochs there is a great variety of walks and cycle paths to enjoy.Your accommodation has its own birdtable attracting birds, red squirrels and the occasional pine marten.Deer also visit the grounds whilst the bats come out at night!The cabins and cottage sleep up to four, are well equipped and heated making them cosy at any time of the year. Our 4 STB 3 star lodges are beautifully situated in the extensive gardens of our home enjoying rural views in this area of outstanding natural beauty. We offer guests high quality accommodation, managed in a way that affords peace, privacy and seclusion and are ideal for walking, birding, touring or relaxing. 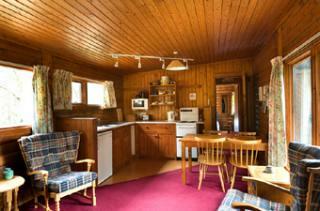 The lodges are available ALL YEAR. Dogs are welcome. From April until October Beech and Willow Lodges are available for 7 nights from a Saturday; Rowan and Sycamore Lodges are available for 3, 7 or 10 nights from a Friday or 4, 7 or 11 nights from a Monday. From November until March we will consider any request, subject to a minimum 3 night charge. 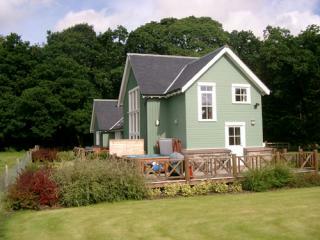 The 5 star-rated Lodges at the Mains are unique contemporary properties situated not far from the City of Inverness. At the end of a private drive and nestled in a woodland setting these striking properties have been built from untreated larch. Architecturally-designed to ensure a carbon neutral build, the properties utilise the latest green technology including solar panels and ground source heat pumps. The lodges have many outstanding features including under floor heating on all levels, multi room sound system, Wi-Fi, a wood burning stove, relaxing whirlpool bath area, bespoke furniture made by a local craftsman and natural materials throughout. 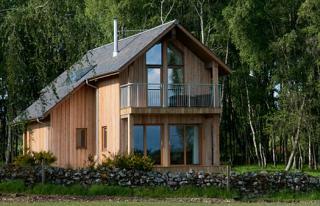 Situated between an ancient native birch wood and an attractive lochan teeming with wildlife, these eco-lodges are the perfect escape if you enjoy watching birds, badgers, deer and hares in luxurious comfort, just outside your window.